I thought it was a funny joke and I knew it was a joke. So it's all good. It's a game. Have fun. If people apologize, I play along for fun & say stuff like "Apology accepted". Bitey humor or what you call. 13 votes in a hotly contested round with only two songs on the chopping block. 8 smilers voted to Drive the Car off the cliff (I have been trying to vote this one off for 5 rounds in a row). REMEMBER, the final three round is for voting for your FAVORITE!!!!!. The song you want to SURVIVE!!!! It's a Lennon trifecta (for the most part). All three songs are great classics (on an album FILLED TO THE BRIM with classics). I love Norwegian Wood. But I don't have that level of attachment to it that I do for the other two. I LOVE Nowhere Man. It takes me back to Saturday afternoon telly when I was a kid and they would broadcast Yellow Submarine. I always felt really bad for Jeremy pHd and would get a lump in my throat. But my favorite... perhaps my favorite Beatle song.... Heck, prolly my favorite Lennon song... Shoot. It's one of my all time faves by any artist. The way it was used in the documentary "Imagine: John Lennon" as the end credit rolled brought tears to me eyes. Still does. Oh, I haven't read 'vote for your favorite'! I'd vote for Nowhere Man. Musically and lyrically it's pure perfection. Terrific. John's 3 in the finals. Surprise! Thanks to everybody dumping last Paul's song. Refuse to vote. See you at Revolver. I always felt really bad for Jeremy pHd and would get a lump in my throat. ahahaha 'car off the cliff'!!!! that was funny. oki doki, once again, i feel like cutting a finger off every time now i vote these out. see i can't even say the whole title. oh darn darn! you know i do that everytime we get to this stage. Thanks Adult. Norwegian Wood's a great song, and the first song I ever performed (back in my first year of high school.... it didn't turn out too well haha). But it lacks something - which I can't quite put my finger on - which is needed for it to become a classic. Definitely worthy of being in the top 3, but not my number one pick. In My Life may very well be the best song on the album. But I don't feel it's a great recording - the overly-mellow production ruins the recording IMO. For example, the piano section reminds me of something you'd hear as your call is put on hold for some doctor or something like that. So this song is out of the question as my number one pick. So to sum it up, my vote goes to Nowhere Man. Brilliant song, and undoubtedly one of the highlights from this era of The Beatles. are also so mistique, and yet so perfect. well recorded too. With all due respect, I urge you to reconsider your decision on the matter. The best song should be decided on each song's merits rather than whoever happened to write it or who happens to be the most prominent member on the song. In fact, I didn't even think about how John's songs dominate the finals until you and Pix brought it up. Which if you think about it is a testament to the man's abilities and resonance. Regardless, in the grand scheme of things that fact should be irrelevant when it comes to this sort of game. That's fair, Rei, but voting against Paul's few songs in a row doesn't seem right. Paul's songs give as much merit as John's. John is not be-all end-all in Beatles. There is no right or wrong. It just so happens that the majority of opinions ran towards John's favor this time. But hey, Paul had a big hand in writing In My Life. So I think you can consider that one half Paul. I've always thought the production on In My Life was stellar. George Martin playing the harpsichord I thought was brilliant. I agree - that's a great section. However, it's not a harpsichord. It's Martin playing a piano with the tape running at half-speed. 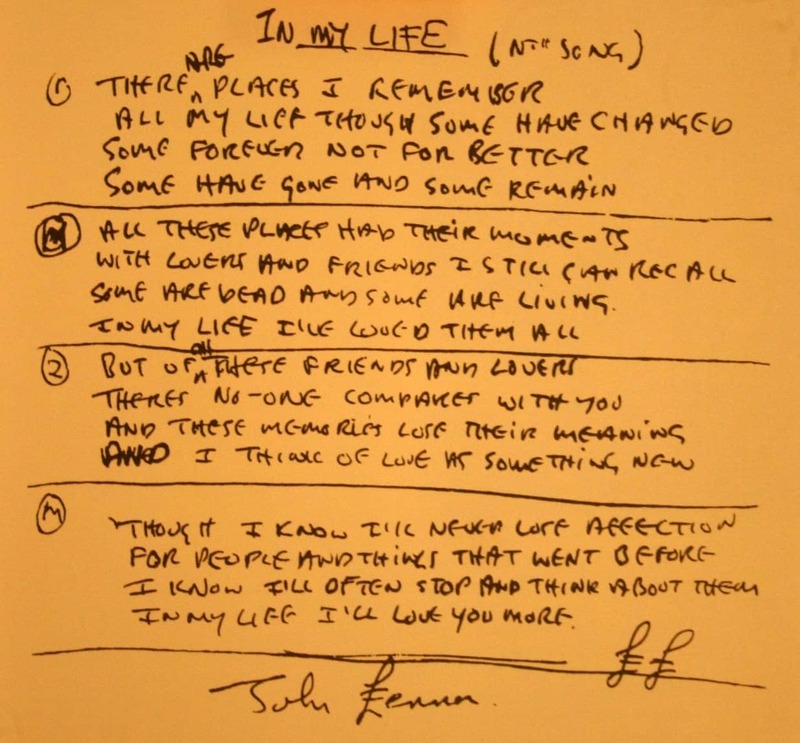 'In My Life' is my second favorite Beatles song. 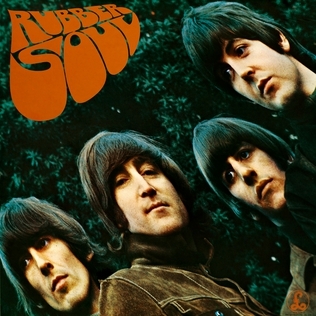 As my number one favorite isn't on this album, I say it rules Rubber Soul. I love all the tracks on this album, but there simply isn't any other choice. I mean, c'mon.